It takes about five days by jeep from Kabul to reach the end of the road in the Wakhan corridor visible below in the distance on this picture. Another five or six days, crossing over three high passes takes you to the edge of the Afghan Pamir plateau and the first Kyrgyz camp. 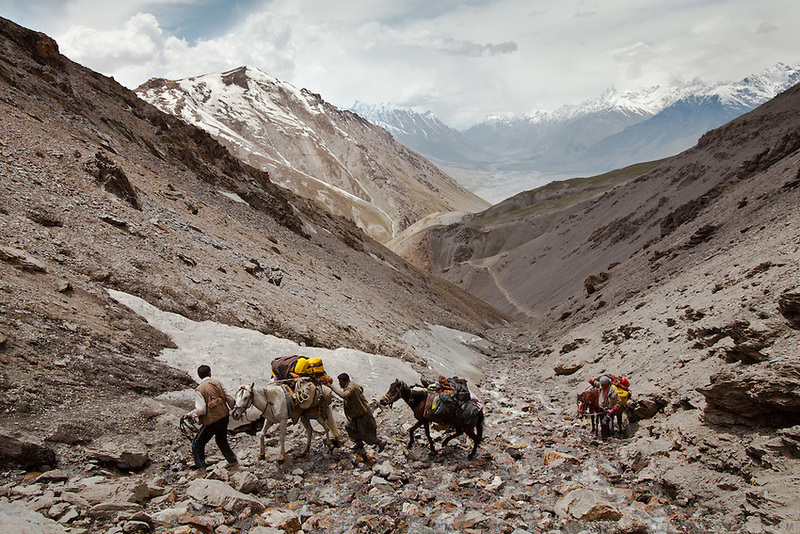 A further four-day trek takes you to the China border and the last Kyrgyz camp...Trekking up and along the Wakhan river, the only way to reach the high altitude Little Pamir plateau, home of the Afghan Kyrgyz community.